Bravo fans often complain that the Real Housewives franchise focuses too much on ladies wearing fancy dresses and bickering with their high society friends — and not enough on their everyday lives at home. For these dissatisfied viewers, There Goes the Motherhood is the epitome of be careful what you wish for. Sometimes, watching mothers peacefully discuss valid concerns (and seeing their cute kids goof off) is not enough. Drama is what makes reality TV interesting, and drama was not in abundant supply during tonight’s premiere. The only moments of note occurred when one mom paraded around in a tiny bikini and when another admitted to locking her kids in their rooms at night. The locked-up kids bombshell was definitely interesting, but There Goes the Motherhood didn’t bother to further explore this controversial approach to bedtime, or at least, not yet. The other moms are definitely intrigued, however, so more drama surrounding this admission may be in the show’s future. The promise of future drama was basically the only thing that kept disappointed viewers glued to the TV screen during tonight’s lackluster episode. Occasionally, a cast member would say something that bothered some of the others, but since they were all still on their best behavior, nobody wanted to go on the attack. Suffice to say, those who took a chance and tuned in for the first episode of There Goes the Motherhood were not impressed. A few claimed that the show is destined to be canceled after just one season because nobody really wants to see moms griping about nothing. This is a valid concern, but those with this opinion have conveniently forgotten how many people are obsessed with Teen Mom and Teen Mom 2. The first episode of a new reality show is rarely exciting, for it takes time to establish story lines and create genuine drama among cast members. Thus, it’s easy to see why the ladies of There Goes the Motherhood are not yet at each other’s throats. But give it time and that drama will develop. In future episodes, the cast members will start to get a lot more judgmental about the show’s many represented parenting styles. 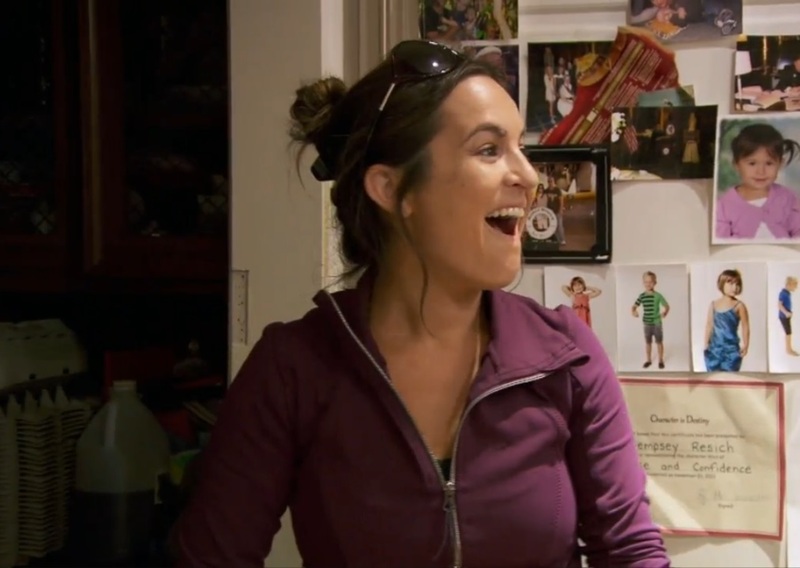 What did you think of tonight’s There Goes the Motherhood premiere? Do you plan on tuning in again next week? Comment and share your opinion below.